WrapMail has now added images of missing children in the US with a link to more information to the bottom of all the emails that go through the system. This way every single email sent using WrapMail’s technology is looking for the missing children. Our hope is that more exposures will lead to more recoveries and with WrapMail now being FREE the volume of emails are growing exponentially every day. 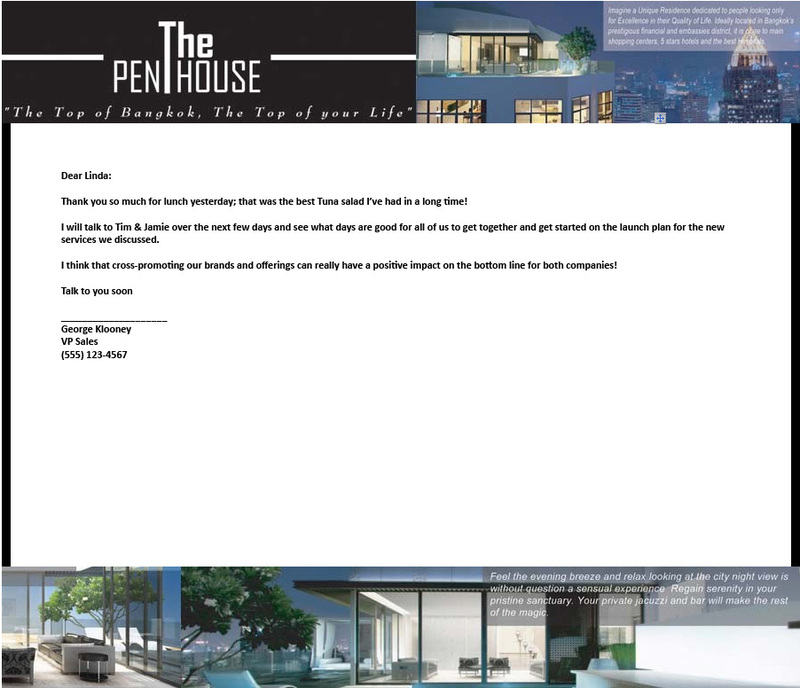 WrapMail’s focus is to turn every regular email sent into a branding opportunity for organizations. 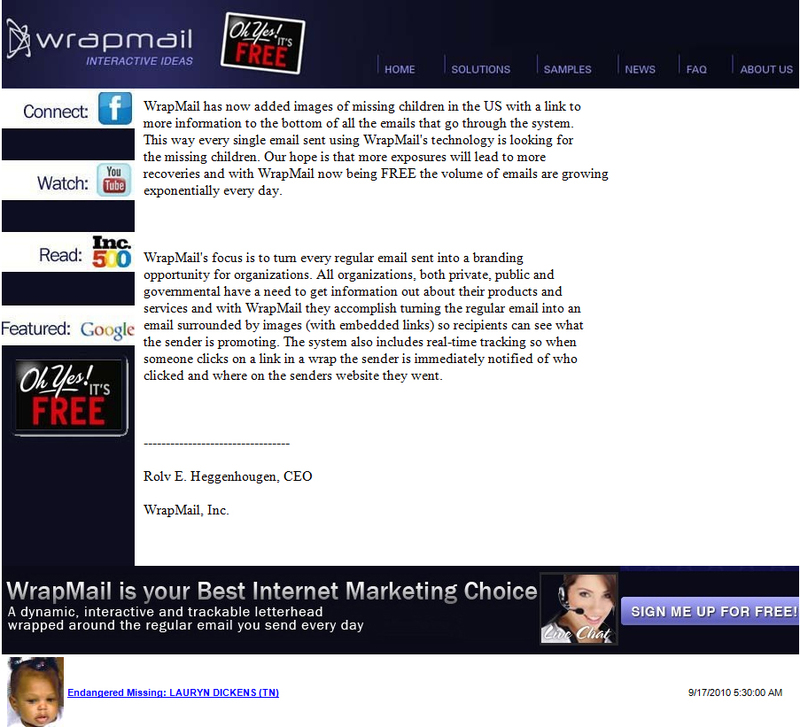 All organizations, both private, public and governmental have a need to get information out about their products and services and with WrapMail they accomplish turning the regular email into an email surrounded by images (with embedded links) so recipients can see what the sender is promoting. The system also includes real-time tracking so when someone clicks on a link in a wrap the sender is immediately notified of who clicked and where on the senders website they went. WrapMail is also being used more and more by individuals that want to promote their social networking profiles, make birthday invitations or just create a wrap from a vacation. All these emails also feature the image and link to a missing child on the bottom. We are pleased to tell the world that WrapMail has becomes free. The main reason we’re doing this is to help look for missing kids. 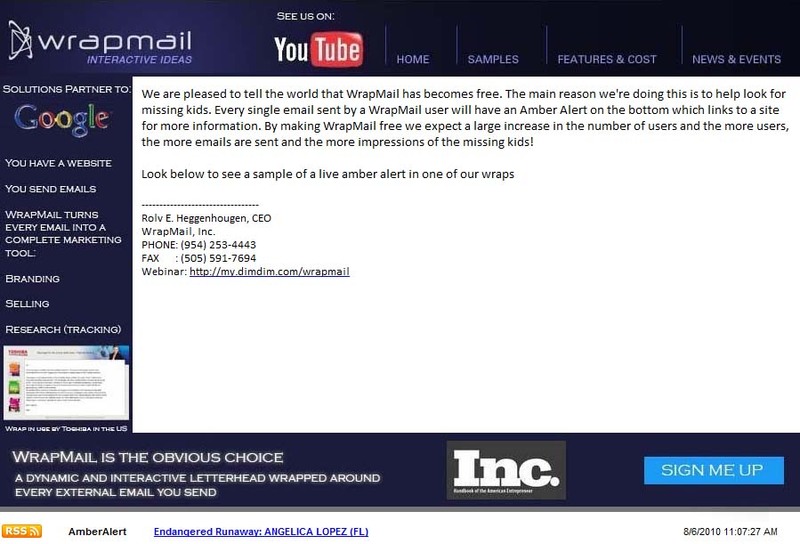 Every single email sent by a WrapMail user will have an Amber Alert on the bottom which links to a site for more information. By making WrapMail free we expect a large increase in the number of users and the more users, the more emails are sent and the more impressions of the missing kids! The signup will change, until it has sign up for free by using code: SOFIE and then enter dummy data in the credit card fields. In the US there’s about 10M governmental employees that send emails so here the daily revenue would be 5 cents x 10M x 10 = $5M or $1.25b/year! Who said the Government can’t make money? What would the costs be? The cost of deploying WrapMail for the government would be about 25% of the revenue. These emails could also help searching for missing kids, wanted criminals etc – i.e. combining promoting and informing about the governmental institution, find the missing and generate revenue at the same time.